OCTOBER 01- 3,000 learners from public schools in Bulacan can now walk to school in comfort after receiving a donation of school shoes from SM Malls in Marilao, San Jose Del Monte, Pulilan and Baliwag as well Sangandaan and Valenzuela. 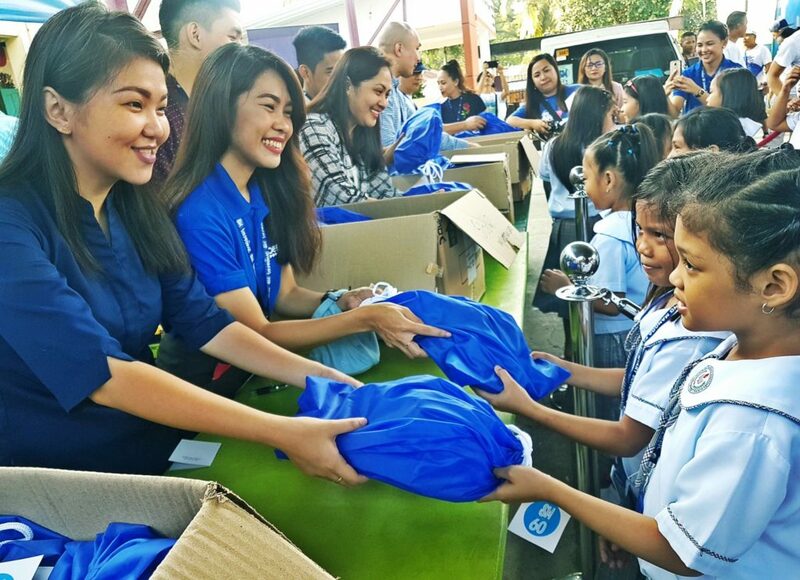 The donation is part of SM Supermalls’ 60th anniversary celebration, through which the company has donated over 60,000 pairs of new shoes to children affected by poverty nationwide. Students ages 7-9 arrived in batches at a time, each being sized and fitted for their own pair of shoes. According to Loma De Gato Elementary School Principal Rhea Malabanan, parents typically struggle to provide shoes required for school. Malabanan added that students often use slippers or come to school barefoot. Dr. Flordeliza Limon of Tungkong Mangga Elementary School also shared that many children are also prevented from attending school because they lack resources to buy shoes. 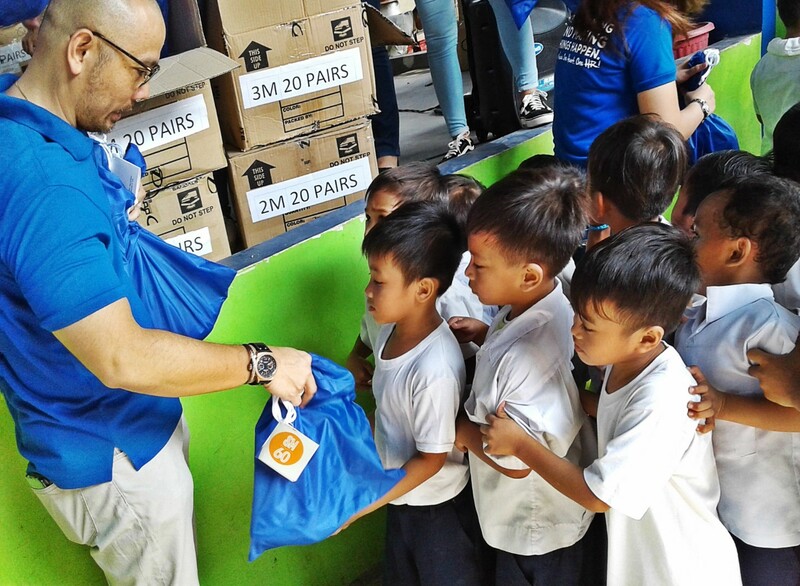 Students from Loma De Gato Elementary School can now walk to school in comfort after receiving new school shoes from SM Malls in Marilao, Valenzuela and Sangandaan. 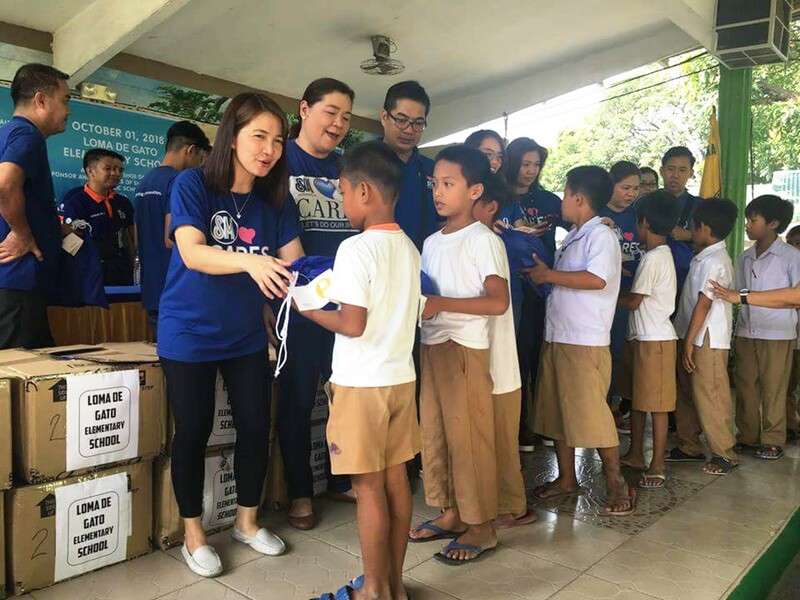 SM City Marilao Mall Manager Bernadette Velasco and SM Human Resources Managers Prescila Salamat and Jefferson Tamayo led the distribution of 1,000 new shoes at Loma De Gato and Patulo Elementary School in Marilao, Bulacan. The donation is part of SM Supermalls’ philanthropic effort for 60th anniversary celebration. Through the donation, SM Supermalls sought to encourage and motivate students to do well in school. “We all know that shoes are basic commodity that everybody needs but sadly not everybody can afford” says SM City San Jose Del Monte Mall Manager Jose Mari Emmanuel Correa. He also explained that with the donated shoes, SM hopes that children would not miss the opportunity in getting to school for an education. A volunteer from SM City Marilao reads the handwritten dedication to students at Patulo Elementary School. Along with the donated shoes, handwritten cards were given to send love, encourage, and motivate students to do well in school. 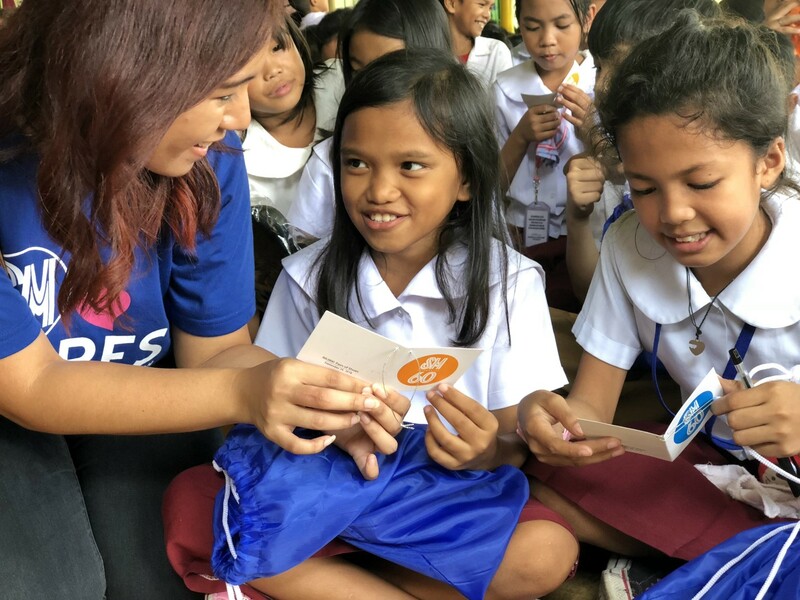 Along with handwritten note from SM Mall volunteers, new school shoes were distributed to students at Loma De Gato and Patulo Elementary School in Marilao, Tungkong Mangga Elementary School in San Jose Del Monte and Engr. Vicente R. Cruz Memorial School in Baliwag. “#AweSMatWork: 60,000 Shoes” is one of the many projects under the Employee Volunteerism Program that is spearheaded by SM’s Human Resources Department through SM Cares. A simultaneous activity, a total of 15,669 employees donated shoes for destitute learners nationwide. With the #AweSMatWork: 60,000 Shoes project, SM stays confident that in every sole donated there will rise stories of successes to share like that of the company’s founder.